Not content with his Freightliner Argosy’s original appearance, Leonard Rainback customised his pride and joy into one of the most ship-shape rigs on the road. Owner-Driver Leonard Rainback believes if your gear looks good, runs well and is a pleasure to drive, it makes getting through the day a whole lot easier. "That’s what it’s all about — enjoying what you do and doing it to the best of your ability," Leonard smiles. "That’s why I made a choice to customise the truck, so I feel good from the start to the finish of each day. "When you’re driving around town delivering freight to various customers, psychologically you feel content within yourself as you’re driving in a truck that you yourself have customised," he explains. Leonard has been a driver for well over 19 years. Four months of training, initially spent at the Driver Education Centre of Australia (DECA), was beneficial and vital to his industry knowledge. Leonard has also received certificates in competency in occupational studies and transport and distribution. 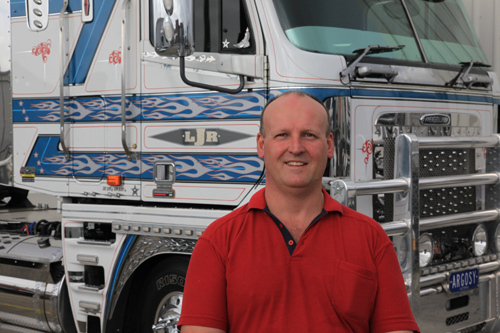 Leonard has been an owner-driver, subcontracting to the Toll Group for nearly six years in Melbourne. He started off as a casual driver then progressed to full time for the next three and a half years. 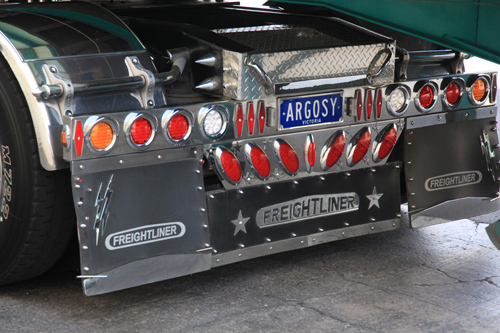 WHY CHOOSE THE FREIGHTLINER ARGOSY? Once Leonard secured the opportunity to become a subcontractor, the immediate need was a truck. "That meant I needed a prime mover that kept me within 19m, as we carry 48-foot (14.6m) boxes. The Freightliner Argosy had the ideal specifications," Leonard says. 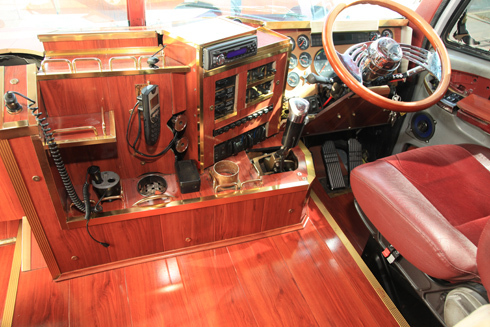 "The Argosy has a C15 Cat, an 18-speed gearbox and 46,000lb (20,865kg) diffs. "The vehicle had a reasonable history. The interior and duco were pretty rough but the running gear was quite good," he explains. Leonard’s 2000 Argosy was built in the first month after the original Argosy rolled down the production line. He shared the opinion with many, that the plastic interior of those early Argosys left a lot to be desired. Several years ago, Leonard set about refurbishing the interior and exterior of the truck and sprucing up the duco. 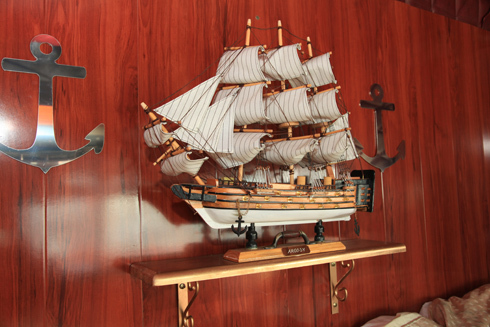 "The early Argosy models had an inherent fault with the interior plastics. Over time, the console and the dash cracked," Leonard says. "I had no choice but to modify the interior and I decided to go a different concept. "So the cab was overhauled and fitted with a floating timber floor, timber upper console and timber lined bunk." On the interior rear wall above the bunk sits a model of a ship. Leonard researched the word Argosy and found there was a merchant ship in the 1600s by that name carrying goods from port to port. In light of this, Leonard incorporated the idea of a model ship to enhance the customised special effects as part of the refurbishment of the truck. 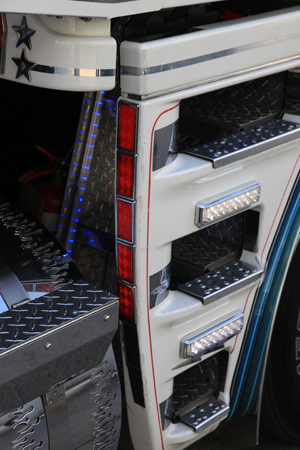 The exterior of the cab has equally gone through a complete restoration, with Leonard adding 270 white and blue LED lights, chrome, polished aluminium and stainless steel. The tanks have been wrapped in stainless steel. As you look up the fuel scoop, you can see a row of LED lights. The mirror covers have been replaced with chrome and fitted with LED lights. The swing plate on the bull bar also has a row of LED lights. The grille on the Argosy has been re-done as well. "Generally, the Argosy models have a two piece grille," Leonard says. "In order to allow more airflow around the motor, the grille has been doubled in size, making it a one piece grille, fully customised in stainless mesh and a one piece stainless steel border. This has cooled the engine by about eight to 10 degrees." The Argosy models, however, have a unique feature. On the driver’s side, there is a built-in staircase which opens out for easy access. Leonard has totally rebuilt this staircase with new polished checker plates. Additionally, he has replaced the back wall of the staircase with a thicker aluminium checker plate. A new motor for the staircase has also been installed. "Another concern that had to be dealt with was the truck had only one 5-inch (13cm) exhaust pipe and an air cleaner that was positioned off the left wing and was probably only picking up about 40 to 50 per cent of intake air," Leonard continues. "Due to this, there was an issue with the motor breathing properly. Consequently, I built a new gantry and installed new 7-inch (18cm) twin pipes from the turbo all the way up. "Additionally, I replaced the exhaust with two twin 6-inch (15cm) chrome pipes," he says. Leonard is always looking for ways to improve the truck. In fact, since this story was penned, Leonard has gone on to do further customisation work. This includes modifying the grab handles, the drop visor and installing 9-inch (23cm) offset rims. Leonard came across an interesting idea to modify the grab handles for good gripping and ease for getting in and out of the truck. He used 25mm x 25mm solid steel bars which were twisted to form a round design and then finished off in chrome. A new 16-inch (41cm) drop visor was recently installed and extensively dressed up with LEDS. The Argosy has won Leonard several trophies at various truck shows. Those have included the elusive ‘Best Freightliner’ at the Castlemaine Truck Show, a back-to-back ‘Best Custom Truck’ at the Tooradin Truck Show, and ‘Best Custom Truck’ at the Benalla Truck Show in 2012. Leonard’s wife Maria is the backbone of the operation. Maria used to work for the Stock Exchange in Melbourne and now handles all the bookkeeping and finances. In his spare time, Leonard likes to continue renovating the house with Maria, which he says has been an "ongoing work in progress", much like the truck. "There is always something that needs to be done around the house," Leonard grins. Leonard’s other hobby is vintage cars. Several years ago, he managed to get his hands on an ’89 GM Cadillac. In addition to going to trucks shows, Leonard enjoys attending swap meets and car shows when he gets the chance. "They say that life is about choices; the same goes when customising a truck," Leonard says. "I had to put a lot of thought, design and planning into the process. You can’t just make changes any odd way. "A considerable amount of time, effort and hard work has gone into transforming this truck, and when I look at it now, it’s all been worth it." 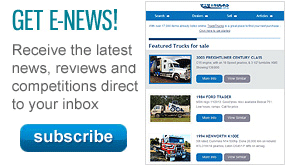 Find Freightliner Argosy trucks for sale. 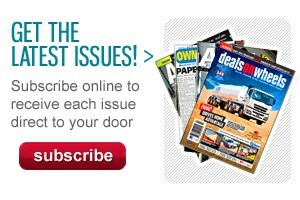 Search for new Freightliner Argosy specs.